There are old friends, and then there are really old friends. Who knows how many centuries this tree and rock have been together in the Sierras? They are inseparable now. 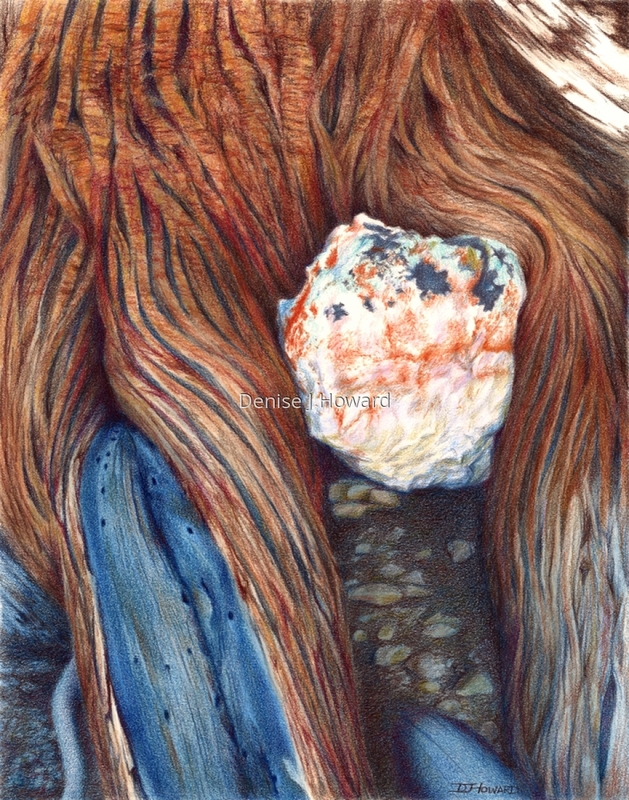 Colored pencil on Stonehenge paper. 6.375" x 5"10.125" x 8"14" x 11"